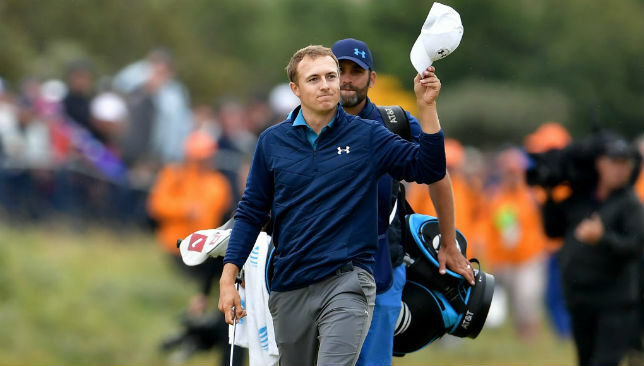 Eventually, it was just a round of one-under par 69 – far higher than the Sunday 63 shot by Henrik Stenson in his epic battle with Phil Mickelson to win in 2016 – but Jordan Spieth’s effort to win the Open Championship at Royal Birkdale will surely be remembered with as much awe. While Stenson at Troon was sustained brilliance, Spieth’s will forever be known for incredible mental resilience and fortitude, and how hope can be resuscitated even in the direst of situations. The 23-year-old American was not only fighting a faltering swing, he was also up against the demons that have haunted him since the 12th hole meltdown at the Masters a year ago. And for someone who is known to be an emotional and empathetic person – which was clearly evident in his acceptance speech as he spoke about the vanquished Matt Kuchar – it must have been tough to find himself leaving a trail of blood and injured fans. In the first 13 holes on Sunday, Spieth’s waywardness caused him to shout fore on almost every other shot, and there were at least four holes when he smashed his ball into the spectators en route to losing his three-shot lead. Even that horrible cut drive on the 13th hole is said to have hit a fan before flying off into the unplayable lie on the mound. At that point, it looked like the 13th of Royal Birkdale would become the 12th of Augusta National for him. Clearly, Spieth needed to do a couple of things urgently if he was to keep his hopes of winning a third major title alive – make a smart decision to extricate himself out of the mess on that particular hole, and then somehow find his game back and catch up with Kuchar over the remaining five holes. There were couple of options available for him on that mound. Play the ball as it lies without incurring a penalty, or declare it unplayable. Once he took the right decision of not trying to hack it out of the tangly grass, he was faced with another decision – he could have gone back to the tee and played his third shot; he could have taken a two-club relief and dropped it back into the thick stuff, or he could have gone as far back, keeping the green and the spot where his tee shot landed in line. It took him 20 minutes to play his third shot from the adjoining driving range – a move that looked ridiculous at the time, but somehow turned sublime by Spieth’s self-belief and ability. Miraculously, he conjured up a bogey, thus falling behind Kuchar by just one shot. In hindsight, it was the bogey that won him the tournament. Jolted out of mediocrity, it was a completely different Spieth from there on – one who just could not miss a shot. What started with a spectacular tee shot on the par-3 14th, which he almost holed out from 201 yards, then raced ahead of Kuchar with a 48-feet long eagle putt on the 15th, and never took his foot off the gas as he made two further birdies over the next two holes. Five-under par for his last four holes, his golf was so brilliant that it seemed a travesty of justice his long putt on the last did not drop for a final grandstand birdie. The win should do a few things for Spieth. First and foremost, it should end all talks about the purported frailty of his mind. Events at Birkdale suggest 2016 Masters was merely an aberration in what is definitely going to be one of the greatest careers in the sport. Secondly, even though the victory elevates him to No2 in the world rankings behind Dustin Johnson, it should leave no doubts as to who is the leading player in the Big Three, or Big Four, or whatever the elite group is called these days. Since the beginning of 2014, Spieth has three major wins (the most in the world), and four other top-5s (also more than any other player in the world). It just adds to all the fun and excitement that we will have at Quail Hollow, when the PGA Championship is held there in three week’s time. Spieth will be aiming to complete his career grand slam, and given the remarkable form he has been displaying, smart money would be on him to become only the sixth player in post-Masters era to achieve that. 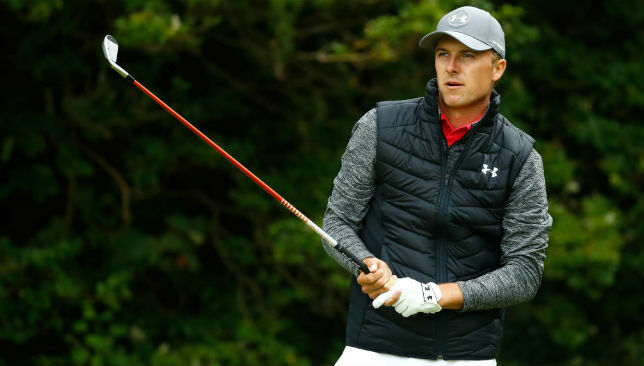 Jordan Spieth admitted it had been a near-perfect day after the world number three fired an ominous 65 in the first round of the British Open on Thursday to plant himself firmly in contention. The Texan had five birdies, including on back-to-back holes just prior to the turn, and not a single dropped shot on the Southport links to sit level with US Open champion Brooks Koepka on five under par atop the leaderboard midway through the day. It would have been better but for a missed birdie putt at the 18th, but Spieth was not complaining after ending a run that had seen him fail to break par in his last five opening rounds at a major. “I couldn’t have done much better today. I missed two greens,” said the 23-year-old, who won the Masters and US Open in 2015. Given his pedigree, it was noteworthy that Spieth rated the round as “maybe fifth or sixth” of all his major championship efforts. He also admitted it set him up nicely for Friday, when conditions are expected to deteriorate considerably with Spieth – who is playing with reigning champion Henrik Stenson — not starting his round until mid-afternoon. “I thought today’s round was extremely important, as they all are, but given the forecast coming in, I thought you really needed to be in the red today,” added Spieth, who effectively saw his hopes go up in smoke in the second round last year at Troon. Then, after starting with a level-par 71, he went four-over in miserable conditions and was unable to fully recover despite just making the cut. “I’ve been on good ends of the draw, bad ends of the draw. So I kind of understand, especially going into a day like tomorrow. “Last year’s Friday round was…I remember talking in here about the sheets of rain. It was like a sideways water faucet out there. 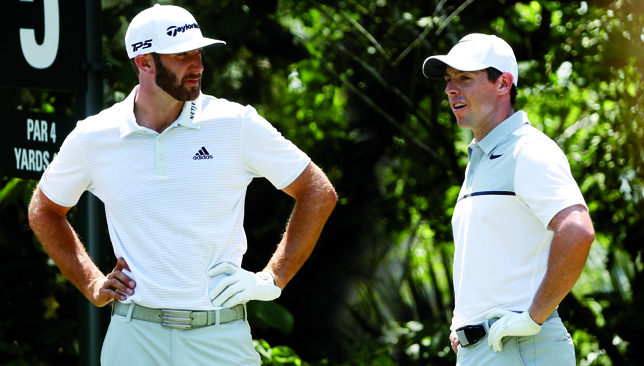 Dustin Johnson and Rory McIlroy. Ahead of next week’s Open Championship at Royal Birkdale, the form of some of the leading players is a concern. World No1 Dustin Johnson is certainly losing some of his early-season heat, having missed the cut in his last two tournaments – the US Open and the Memorial. Johnson’s poor show in Jack Nicklaus’ event could be an aberration, having had his second child at the start of that week. Rory McIlroy has fallen to No4 in the world order as his stop-start season due to his rib injury continues. The 2014 Open champion could not make it to the weekend in last week’s Dubai Duty Free Irish Open, a tournament he hosts, and also at the US Open. In between, a sparkling final-round 64 catapulted him to tied 17th place at the Travelers Championship, a tournament where he famously used three different putters. And then there is Jason Day. The Australian, who revealed earlier this year that his mother is terminally ill, can be rightfully excused if he has other things on his mind than golf. Compared to his amazing run from the 2015 Open onwards, 2017 has been poor with just two top-10s and he comes into the third major of the season on the back of two missed cuts. Even though there seems to be genuine reasons for the sudden slump in the form of these superstars, the time is now right for them to pull up their socks as we reach the business end of the season. July, August and September are three huge months in golf – with two of the four majors, one World Golf Championship event and the FedEx Cup Playoffs all coming one after the other. The links course at Royal Birkdale will provide a different kind of test for the players. While McIlroy has had success in the past, Johnson and Day have been consistent at best without being spectacular. The American has three previous top-10s, including a tied second in 2011, while the Aussie has struggled and has only a tied fourth place in the 2015 Open to show as a decent outing. 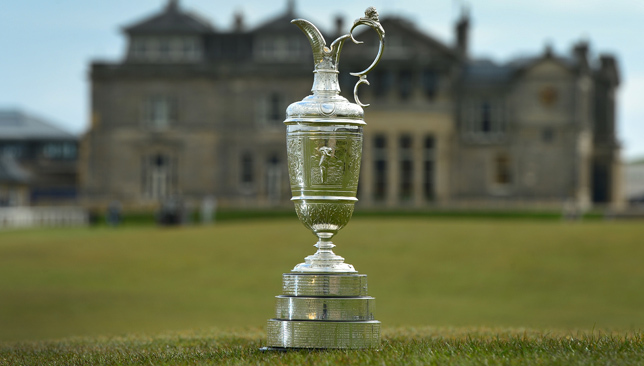 Who do you think will lift the Claret Jug at Royal Birkdale? Both Johnson and Day are not playing this week again, but McIlroy is at Dundonald Links for the Scottish Open. The Northern Irishman has made the right decision in adding the tournament to his schedule. He desperately needs some more time out on the course, having played only nine tournaments in the first half of the year – at least four fewer than in previous years. Defending champion Henrik Stenson is also not in his usual solid form, although this is the period of the year when he usually turns it around. Based purely on current form, the top favourites would be Jordan Spieth, Jon Rahm, Rickie Fowler and Tommy Fleetwood. If Phil Mickelson and Jim ‘Bones’ Mackay parting ways last month came as a surprise, the split between Lee Westwood and his manager Andrew ‘Chubby’ Chandler is an even bigger shock. The 44-year-old English golfer and agency International Sports Management (ISM) were together for more than 25 years. Westwood was one of Chandler’s first signings, immediately after the ex-Tour player formed the company in 1989. The former world No1 is joining IMG. Westwood, who was believed to be part owner of Chandler’s company along with Darren Clarke, had several joint business interests with his manager, including owning champion race horses. Both parties have remained silent on the reasons for the split. 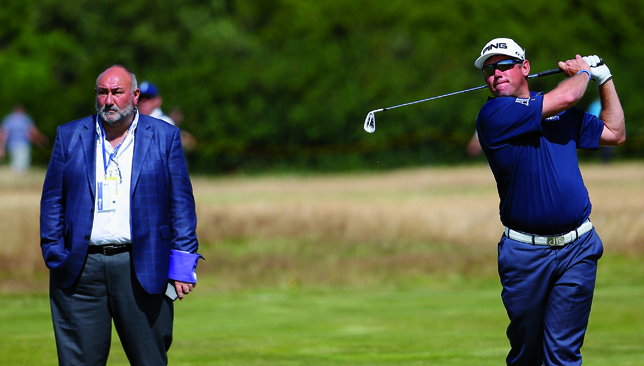 Breaking up: Lee Westwood with Andrew ‘Chubby’ Chandler.